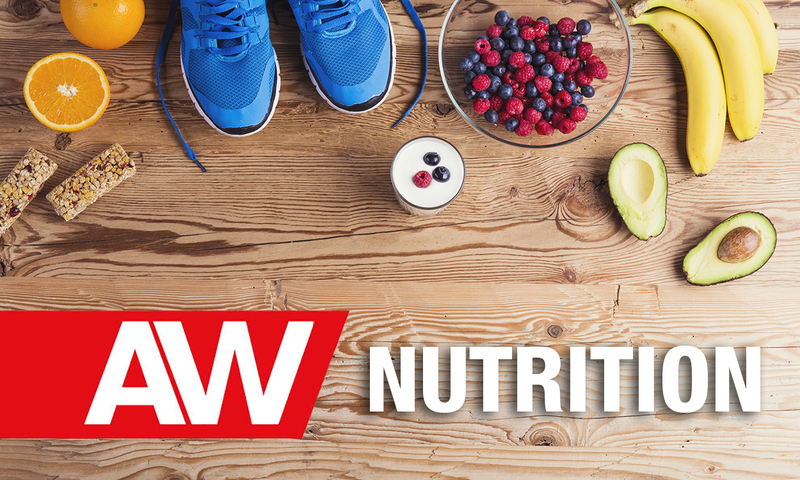 What do athletes eat? This is indeed a good question. If social media is anything to go by it seems it could be anything from green matcha smoothies to avocado eggs to pork pies. However, maybe the real question should be: what is an athlete’s attitude toward eating and how does this influence not only their choice but also their performance outcome? Experience working across the board of athletes and disciplines has meant I’ve observed eating behaviours in all camps, from excessively “clean” and restrictive to those that are thinking about their next meal before they have even finished their present one. One of the key things to highlight is that no two athletes are the same thus, no one size fits all. However, some nutrition behaviours may not be as helpful as they initially seem. When educating athletes, one of the most important places to start is that no food should technically be banned from their diet; while there may well be certain times within their schedule where they need to be more mindful and strict, food should never become so restrictive that it causes additional stress and anxiety. After all, an athlete has enough pressure and expectation to deal with. Many athletes I see don’t fully believe how much fuel and food they really need. Many err on the side of caution not appreciating that this in itself can actually have detrimental effects on body composition and performance. There is a really fine line between eating sufficiently for optimal performance and sitting just below this with the expectation of improving body composition – the old school thinking of “being lighter equals faster” driving this behaviour. However, it’s important to highlight that the body likes to maintain homeostasis. It has a strong protective feature in order to maintain balance. When this is threatened, it has the ability to alter metabolism in order to maintain balance and prioritise movement. More importantly, the majority of athletes I have worked with across all sports who believe this mantra of “lighter is better” are usually already on the low end of their optimal range for weight, thus reducing it further often has a negative impact, especially longer term. Our relationship with food is complex. When a dysfunctional relationship with food develops, it is rarely related to food only but to deep rooted negative perceptions and emotions that are projected on to food as a means of control. Many athletes feel pressure and expectation and when this is not managed well, it can cause some to turn to food as a coping mechanism. Unfortunately, while this control element may provide momentary release from their anxiety about not being good enough, the more tightly controlled food becomes, the more anxiety becomes heightened. So, what started out as a means of coping, soon becomes an added problem to deal with. Breaking fear from food is difficult but it’s important to remember that often the food rules that have been created have no real evidence behind them and they have been formed from individuals making their own assumption of facts. Challenging fears, accepting that it will feel uncomfortable, but also being able to see that nothing awful actually happens is an important part of breaking away from food fears. So, if you are someone that worries about eating carbohydrates, ask yourself, why? And then ask yourself if there actually is any credible scientific evidence for this or have you just cherry picked what you want to believe? In this way, you can start to challenge your food rules and create more rational and appropriate behaviours. In severe cases, where anxiety is so heightened, it is recommended that athletes work with a clinical psychologist and sports dietician – the former will also have a clinical background and therefore be able to provide strategies for recovery. When the body feels the threat of starvation, regardless of weight, it slows down those processes within the body it does not deem to be important. We have heard time and time again about how menstruation can stop within female athletes but it’s important to be aware that there are other symptoms too. Digestion can become hugely affected. Many athletes complain about bloating, discomfort and constipation and while this can be related to a number of things, including food choice, it is a potential sign that they are not eating sufficiently to meet their energy requirements. A periodised approach to eating is the ideal; this means eating sufficient fuel, particularly carbohydrate, before, possibly during, depending on the length of exercise time (usually anything over 90 minutes at a high intensity will need to be fuelled) and after key high intensity training sessions. An athlete’s nutrition can also be altered/adapted in-line with the specific training they are doing in a specific training cycle. A sprinter, for example, performing repeated sprints within one training session, in a build-up training phase when they are completing more volume work, will benefit from ensuring good glycogen (premium grade carb muscle fuel) stores throughout their training week for consistency in performance and progression. While carbohydrates are still important if the sprinter is in a speed and power phase, this can be manipulated to work around key sessions but reduced in favour of higher protein foods during rest and recovery. Problems occur when athletes aim to do hard sessions fasted or in a carb-depleted state – similarly, they can also find that they are not hungry immediately after a session and prolong recovery. Both these situations have negative effects on hormonal regulation within the body. Ghrelin is our hunger hormone – levels rise after exercise or several hours after a meal, signifying that we need to refuel. When ghrelin is high, leptin levels are low. Both these hormones will return to normal levels when energy demands are met. However, if an athlete continually does not fuel adequately after a training session, intentionally or unintentionally, leptin levels stay low. Chronically low leptin levels send a signal to the body to encourage energy preservation. So, while the athlete may think they are going to lose weight and improve body composition, indeed the reverse can actually happen. It’s important to highlight here that this is a simplified version to help explain why some athletes, even when they restrict intake, or increase training still don’t achieve the body composition and weight goals they would expect. For athletes who are training 2-3 hours a day, and especially if including high intensity work, you will be looking for requirements of around 5-7g/ kg bodyweight carbohydrate; 1.5-1.8g/kg bodyweight protein and around 1-2g/kg bodyweight fat per day. In reality, studies have shown that athletes, especially runners and particularly female runners, eat a lot less than this. Translated into food, as a rule of thumb, this means having three meals a day, including a balance of complex carbohydrates, such as pasta, oats, rice or bread; a source of protein such as chicken, fish, lean cuts of red meat, eggs or tofu; essential fats in the form of oils, nuts or avocados; and a load of veg or salad to ensure an antioxidant load. They should also include three snacks a day and these can vary in size and composition depending on the training load and intensity: higher carb options, such as crumpets, malt loaf and cereal bars can be eaten on on high volume training days and more protein-based options such as, Greek yoghurt, a small handful of nuts or mackerel pate with vegetables on lower volume, high intensity days (e.g. weight training days). An athlete’s diet should never become so restrictive that it causes additional stress and anxiety. After all, an athlete has enough pressure and expectation to deal with. Oats and legumes both provide soluble fibre, whereas whole grains, fruit and vegetables provide insoluble fibre. Both are required for a healthy digestive system, but athletes need to be mindful not to overload their system with fruit and vegetables in favour of grains, oats and beans as this can result in reducing overall energy intake and increasing bloating and discomfort. Athletes should aim for around three portions of fruit a day and three to four portions of salad and vegetables as a maximum during high intensity training blocks. Using herbs and spices can be a great way of topping up anti-oxidant levels without increasing bulk to the diet, while reducing oxidative damage caused by hard training. Dairy is an excellent choice for all athletes as it provides the calcium required for optimal bone health. Milk is ideal as an immediate recovery choice after high intensity exercise due to its composition of easily digested carbohydrate and protein. Greek yoghurt, due to its high casein (protein) content, prior to bed can optimise recovery during sleep. Aiming to include oily fish once or twice a week is recommended as it is the best source of omega 3 fatty acids, which have been shown to reduce inflammation and fatigue after heavy training. Oily fish is also one of the only sources of dietary Vitamin D.
Eggs are a great source of protein, iron and choline, all essential nutrients for an athlete’s body to function optimally.